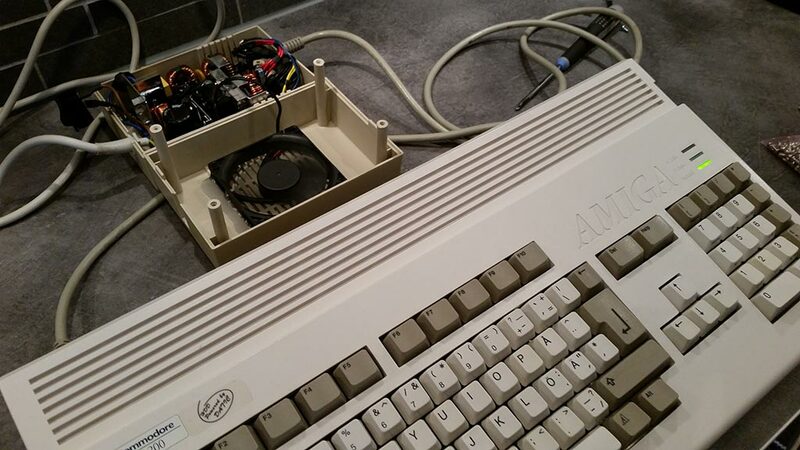 My project with Blizzard PPC and BVision moves forward and the next challange was to get more power to the Amiga 1200. A normal Amiga 1200 with average expansions will be good with 3.5A standard PSU but when it is expanded with both the above cards, it is recommended to have 8-10A. Many examples that I’ve seen has used a standard ATX PSU but this is too easy 🙂 I wanted the solution to be as close to original as possible so I could keep the retro-feeling. 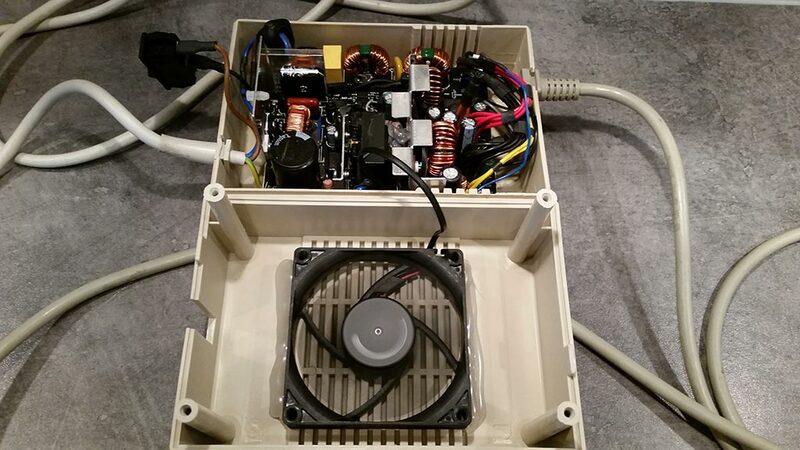 Rumors on forums said that SFX form factor PSU would fit without any problems inside a A500 PSU without any special modifications needed. As the topic says, next step was to find a good candidate that I would use for my project. Did some reading on forums and talked to some of my friends that found that a SFX PSU from FSP would be more that good enough. 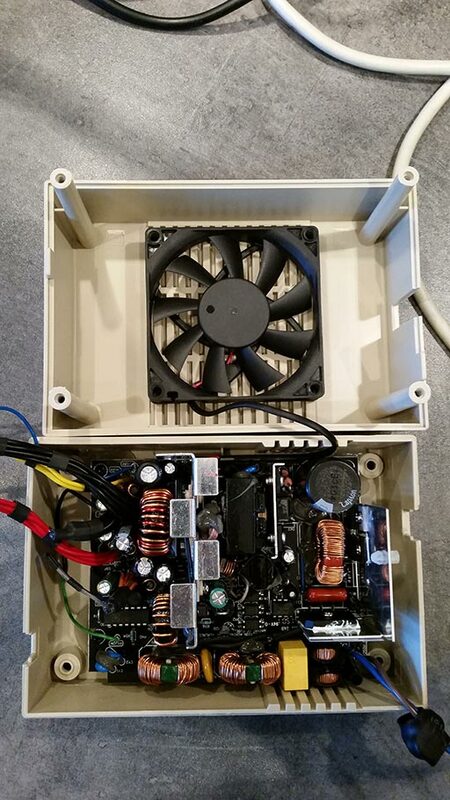 The PSU model that was selected at last was a FSP300-60GHS(85) which is a 300W PSU with the dimension of 100mm (L) x 125mm (W) x 63,5mm (H) and also complies to the 80PLUS Bronze certification. The total output is as the table below. Even if the output power is more than good enough, the length of the outgoing cables was a bit too long and combined with a smaller area on the cable, it would not be able to keep 5V+ stable. An easy solution for this was to more or less just shorten the cable to about 40-50cm. There are plenty of homepages out there that helps you calculate the drop, you can find one example here. Well, can’t complain. Even with if I kept the fan inside the small case it does only have a very low humming sounds. 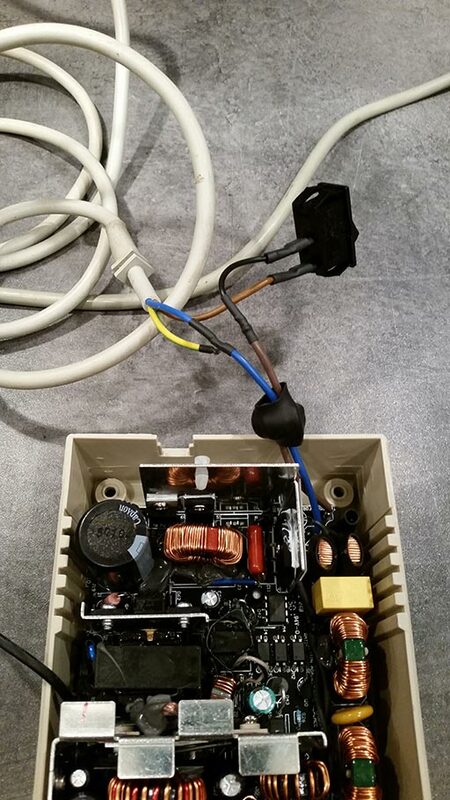 The size was perfect and I had no problems what so ever to mount it inside a A500 PSU.